Once you switch the smartphone off from email and social media network, you can notice better when and how you’re crowdsourced. By this, I mean that use of applications to contribute data is sometimes clearer as the phone becomes less of communication technology and more of information technology (while most of the time it is an information and communication mixed together). During my last year summer break, while switching off, I was able to notice three types of crowdsourcing that were happening as I was mostly using my phone for tourism: the set of applications that I used during the period was mostly Google Maps, Waze, and Sygic for navigation (Sygic is an offline satnav app that uses local storage, especially useful as you go away from signal – as in the case of travelling to Yosemite above). 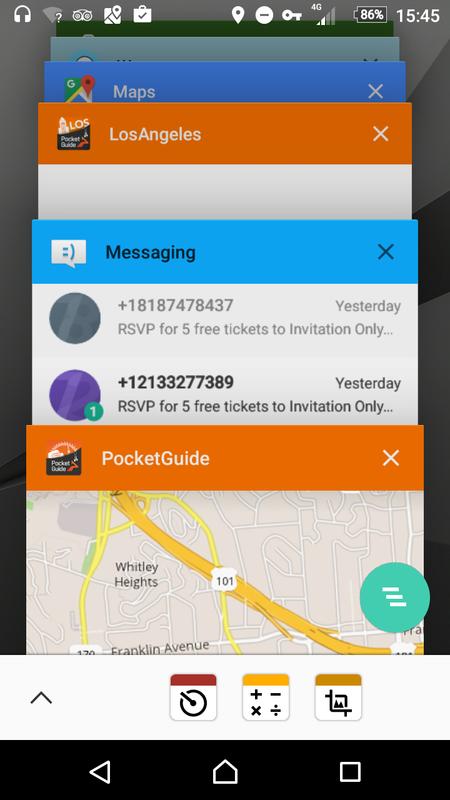 I also used TripAdvisor to find restaurants or plan visits, and in a tour of Hollywood, we’ve downloaded a guided tour by “PocketGuide Audio Travel Guide”. There were also the usual searches on Google to find the locations of swimming pools, train schedule, boat tours and all the other things that you do when you’re travelling. The first type of being crowdsourced that I knew was there but I couldn’t notice was with every action that I’ve done with the phone. Searches, visiting websites and all the other things that I’ve done as long as the phone was on. I know that they are there, but I have no idea who is collecting the traces – I can be quite certain that the phone company and Google were getting information, but I can’t tell for sure – so that’s hidden crowdsourcing. The second type is being passively crowdsourced – I know that it happened, and I can so rt of guess what information is being recorded, but I didn’t need any action to make it happen. Checking the map on the way back to the airport at the end of the journey, show how geolocated images and information are being put on the map. Google Maps assume that I visited known locations, mostly commercials, along the way. It was especially funny to stay in a suburban place that happened to be the registered address of a business, and every time we went to it, Google insisted that we’re visiting the business (which doesn’t physically exist in the place). At least with this passive crowdsourcing, I am knowingly contributing information – and since I’m benefiting from the navigation guidance of Google Maps as I drive along, it is a known transaction (regardless of power relationship and fairness). the third and final type of process was active crowdsourcing. This was when I was aware of what I’m contributing, to which system, and more or less how. When I provided an image to Google Local Guides I knew that it will be shared (I am though, hugely surprised how many times it was viewed, but I’ll write about Local Guides in a different post). I was also actively contributing to TripAdvisor about some place near Venice Beach. A certain surprise also came from Waze, which, in a day of experiencing Los Angeles famous traffic, provided me with a message that ‘I’m one of the top contributors on this route’ after 3 reports. Of course, I can’t tell if this message is real, but if 3 reports are enough to make you a top contributor, the number of reporting participants must be very low. 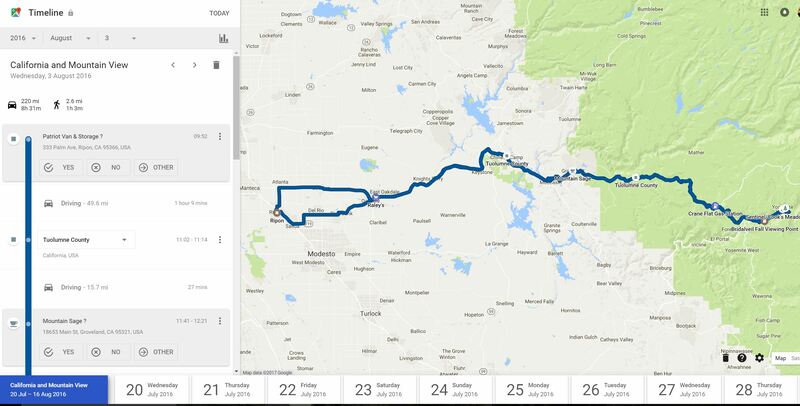 Few other observations: it was interesting to see how embedded is the consideration that you will be online all the time – Google Maps suggested to download a route when they had information that part of the journey will not be covered by mobile signal, but the application didn’t behave well with offline data (Sygic did). Both Waze and Google Maps behaved very erratically when I passed a blocked slip road and didn’t follow their navigation guidance. For quite a distance, they continue to suggest that I turn around and use the blocked road. 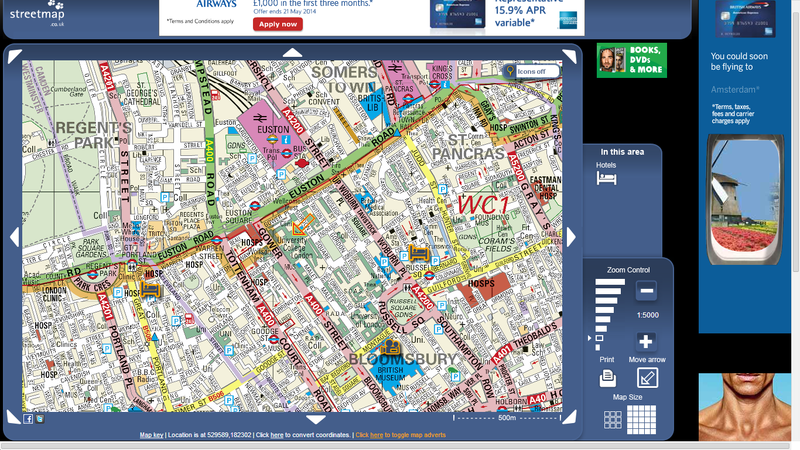 Once upon a time, Streetmap.co.uk was one of the most popular Web Mapping sites in the UK, competing successfully with the biggest rival at the time, Multimap. Moreover, it was ranked second in The Daily Telegraph list of leading mapping sites in October 2000 and described at ‘Must be one of the most useful services on the web – and it’s completely free. Zoom in on any UK area by entering a place name, postcode, Ordnance Survey grid reference or telephone code.’ It’s still running and because of its legacy, it’s around the 1250 popular website in the UK (though 4 years ago it was among the top 350). So far, nothing is especially noteworthy – popular website a decade ago replaced by a newer website, Google Maps, which provide better search results, more information and is the de facto standard for web mapping. Moreover, already in 2006 Artemis Skaraltidou demonstrated that of the UK Web Mapping crop, Streetmap scored lowest on usability with only MapQuest, which largely ignored the UK, being worse. However, recently, while running a practical session introducing User-Centred Design principles to our MSc in GIS students, I have noticed an interesting implication of the changes in the environment of Web Mapping – Streetmap has stopped being usable just because it didn’t bother to update its interaction. By doing nothing, while the environment around it changed, it became unusable, with users failing to perform even the most basic of tasks. The students explored the mapping offering from Google, Bing, Here and Streetmap. It was fairly obvious that across this cohort (early to mid 20s), Google Maps were the default, against which other systems were compared. It was not surprising to find impressions that Streetmap is ‘very old fashioned‘ or ‘archaic‘. However, more interesting was to notice people getting frustrated that the ‘natural’ interaction of zooming in and out using the mouse wheel just didn’t worked. Or failing to find the zoom in and out buttons. At some point in the past 10 years, people internalised the interaction mode of using the mouse and stopped using the zoom in and out button on the application, which explains the design decision in the new Google Maps interface to eliminate the dominant zoom slider from the left side of the map. Of course, Streetmap interface is also not responsive to touch screen interactions which are also learned across applications. I experienced a similar, and somewhat amusing incident during the registration process of SXSW Eco, when I handed over my obviously old laptop at the registration desk to provide some detail, and the woman was trying to ‘pinch’ the screen in an attempt to zoom in. Considering that she was likely to be interacting with tablets most of the day (it was, after all, SXSW), this was not surprising. Interactions are learned and internalised, and we expect to experience them across devices and systems. So what’s to learn? while this is another example of ‘Jacob’s Law of Internet User Experience‘ which states that ‘Users spend most of their time on other sites’, it is very relevant to many websites that use Web Mapping APIs to present information – from our own communitymaps.org.uk to the Environment Agency What’s in Your Backyard. In all these cases, it is critical to notice the basic map exploration interactions (pan, zoom, search) and make sure that they match common practices across the web. Otherwise, you might end like Streetmap. The Consumers’ Association Which? magazine is probably not the first place to turn to when you look for usability studies. Especially not if you’re interested in computer technology – for that, there are sources such as PC Magazine on the consumer side, and professional magazines such as Interactions from Association for Computing Machinery (ACM) Special Interest Group on Computer-Human Interaction (SIGCHI). Over the past few years, Which? is reviewing, testing and recommending Satnavs (also known Personal Navigation Devices – PNDs). Which? is an interesting case because it reaches over 600,000 households and because of the level of trust that it enjoys. If you look at their methodology for testing satnavs , you’ll find that it does resemble usability testing – click on the image to see the video from Which? about their methodology. The methodology is more about everyday use and the opinion of the assessors seems to play an important role. Professionals in geographical information science or human-computer interaction might dismiss the study as unrepresentative, or not fitting their ways of evaluating technologies, but we need to remember that Which? is providing an insight into the experience of the people who are outside our usual professional and social context – people who go to a high street shop or download an app and start using it straightaway. Therefore, it’s worth understanding how they review the different systems and what the experience is like when you try to think like a consumer, with limited technical knowledge and understanding of maps. There are also aspects that puncture the ‘filter bubble‘ of geoweb people – Google Maps are now probably the most used maps on the web, but the satnav application using Google Maps was described as ‘bad, useful for getting around on foot, but traffic information and audio instructions are limited and there’s no speed limit or speed camera data‘. 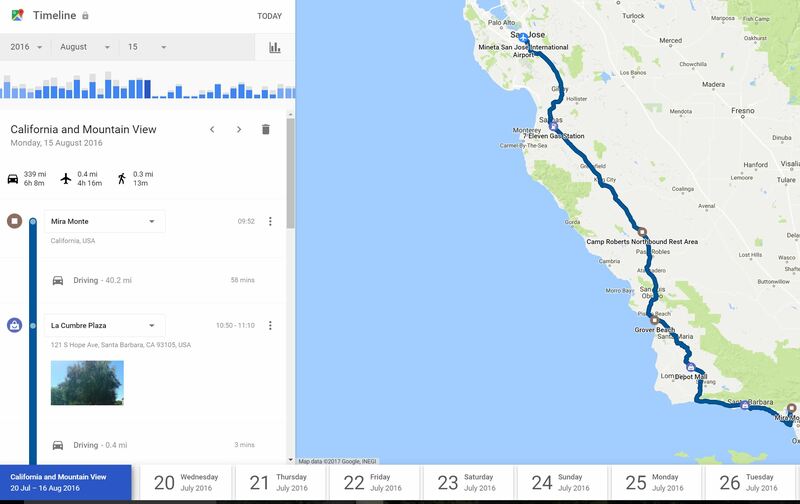 Waze, the crowdsourced application received especially low marks and the magazine noted that it ‘lets users share traffic and road info, but we found its routes and maps are inaccurate and audio is poor‘ (both citations from Which? Nov 2012, p. 38). 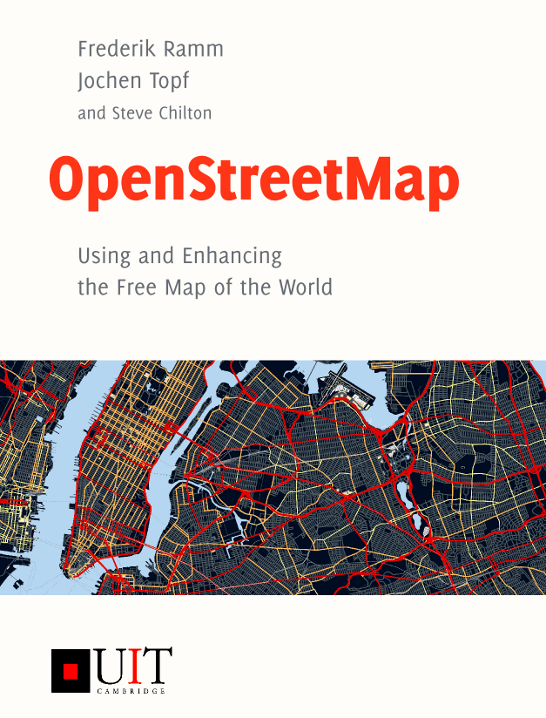 It is also worth reading their description of OpenStreetMap when discussing map updates, and also the opinions on the willingness to pay for map updates. There are many ways to receive information about the usability and the nature of interaction with geographical technologies, and some of them, while not traditional, can provide useful insights. Posted on 18 March, 2013 18 March, 2013 Categories GIS Usability, OpenStreetMap, Usability, VGITags GIS Usability, Google Maps, Human–computer interaction, OpenStreetMap, usability of GI, Usability testing2 Comments on Usability, SatNavs and Which?